A bill pushing for the removal of Pakistan from the list of America’s major non-NATO allies has been introduced in the US Congress. According to the conditions of Resolution H.R. 73, now if a US president decides to put Pakistan back on the list the president will have to certify to the Congress that Pakistan is conducting sufficient military operations against safe havens and the freedom of the movement of the Haqqani Network in the country. The president would additionally have to certify that Pakistan has made substantial progress and has indeed stepped up in its efforts to arrest and prosecute senior leaders and even mid-level operatives of the Haqqani Network. Another certification would be required from Congress establishing that Pakistan has taken steps to show commitment to preventing the Haqqani Network from using Pakistani territory as a safe haven. It would have to show Pakistan as having been cooperative with Afghanistan in working to restrict the movement of militants along the Afghan-Pakistan border. According to reports, the bill is now with the House Foreign Affairs Committee and is under deliberation. Preceding the introduction of this bill in the Congress, Trump in his first tweet this year accused Pakistan of giving the US “nothing but lies and deceit”. Pakistan-US relations have been considerably tense and volatile lately. However there is some evidence pointing to the idea that condemnation of Pakistan will only go so far. The imminent US troop drawdown and the dependence of Afghanistan’s stability on cooperation from regional actors, coupled with the current trajectory of US-Pakistan relations makes the timing of the bill particularly interesting. “… if the menace of terrorism is tackled, the United States is not looking for a permanent military presence in Afghanistan”. This foreign policy outlook is not exclusive to the Trump administration. The former director for South Asian affairs at the Obama administration’s National Security Council, Joshua White speaking in Islamabad echoed the same sentiment. He reiterated that the reason the US entered Afghanistan was to prevent a safe haven for transnational terrorists that resembled Al-Qaeda and ISIS; the intention was never to keep a military presence in the region. Currently, the Trump administration is intent on getting all of Afghanistan’s neighbors, especially Pakistan, on board for negotiations with the Taliban. This obviously cannot go hand-in-hand with tense US-Pakistan relations. 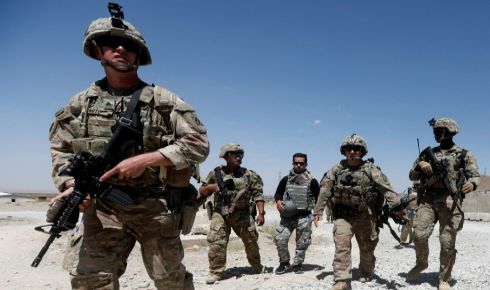 As the US plans its withdrawal from the Afghan region, Washington hopes neighboring countries will use their influence to convince the Taliban to stay engaged and accept the Kabul government. 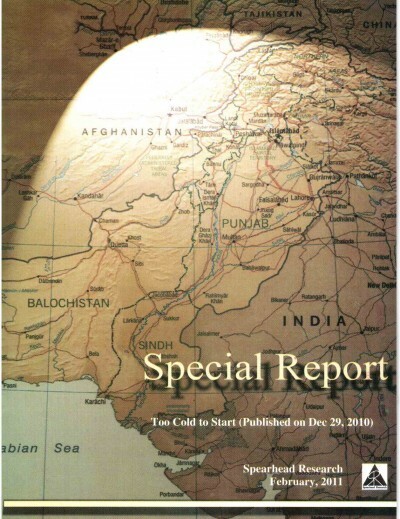 In the current circumstances, it is believed Pakistan can play a major role. Despite the introduction of this bill the US has sent delegates to Pakistan, which in a way is an acceptance of Pakistan’s significance to the peace process. Even the Trump administration on some level recognizes that strained relations with Pakistan will inevitably isolate US foreign policy in the region. US sent its special envoy for Afghanistan to the Afghan region with plans to convince Pakistan, India and China to work together to ensure the success of the Afghan peace initiative. There are fears that the hasty withdrawal of US forces may lead to anarchy and factional fighting in Afghanistan. Having accepted the Taliban as major stakeholders in a future political settlement, the Trump administration is aware landlocked Afghanistan will have to diversify its relationships and rely on its neighbors for stability after a US departure. Concerns over Afghanistan’s stability and its stakes in the $21 billion Chabahar port led to the Trump administration granting a sanctions waiver even after the US withdrew from the Iran Nuclear Deal. A settlement at this point would require the need to provide benefits to all regional actors in order to guarantee full cooperation. Since Pakistan has made significant strides in curbing terrorism and strengthening its hold on security alongside its own border, Pakistan can be a key partner in future talks. Hence it is both a lack of confidence in the ability to militarily take the Taliban down and fear of other alternatives that have driven states to open up to the idea of including the Taliban. Even as Washington considers the bill currently tabled in the US Congress for delisting Pakistan as major ally, it seems unlikely that the Trump administration would be inclined to support any moves to isolate Pakistan in the present circumstances. Washington recognizes the significance of the influence Pakistan has over the Taliban, as little as it may be. Ultimately however it is important to establish whether it is Pakistan, Iran or Russia, the ability to control the Taliban is at the end of the day limited. The only way to ensure the stability of the Afghan state is if the Taliban are cooperating in an inclusive political settlement—one where all regional actors are also on board. In order for this to happen Washington needs to have good relationships in the region, with all important stakeholders, including Pakistan.